Kayf Tara, the sire of last month's King George VI Chase winner Thistlecrack, will stand at a career-high fee of £10,000 this year, up from £5,000 in 2016. The son of Sadler's Wells had a remarkable Cheltenham Festival in 2016, with a trio of winners including Champion Bumper scorer Ballyandy, RSA Chase winner Blaklion and Thistlecrack seven lengths clear of his opposition in the World Hurdle. Thistlecrack landed the Kempton showpiece in December, while another son of Kayf Tara, Special Tiara, saw off Sir Valentino by half a length in the Grade 2 Desert Orchid Chase at the same course a day later. Schiaparelli won five Group 1 races over 12f, including the German Derby, and his fee will remain unchanged for a sixth consecutive season at £2,000. Simon Sweeting, owner of Overbury Stud, said: "Kayf Tara’s been a great servant to National Hunt breeders and we are indebted to them for their steadfast support over his long career. "He’s been the UK’s champion National Hunt sire no fewer than seven times and Britain has never had so dominant a jumps stallion! He is the game’s most successful stallion ever here, going great guns again in the 2016-17 season. 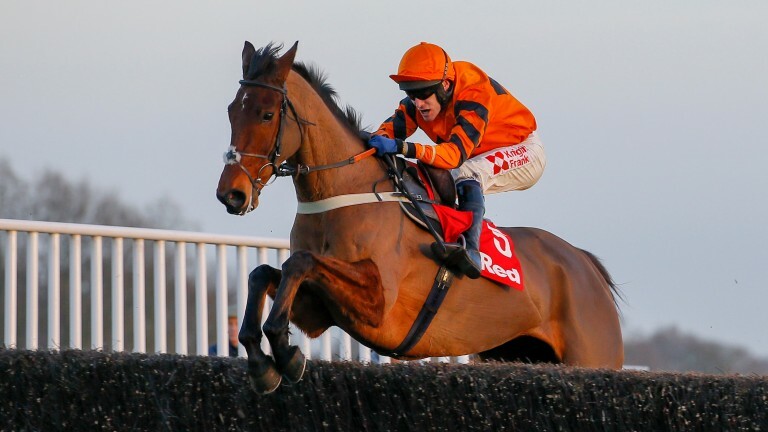 "Thistlecrack is his masterpiece and confirmation that Kayf Tara can sire a horse of the very greatest talent, as well as delivering winners and sales successes from all manner of mares. "We are very fortunate that he is hale and hearty at the age of 23 and we dearly hope he stays that way, as his book is full for 2017."